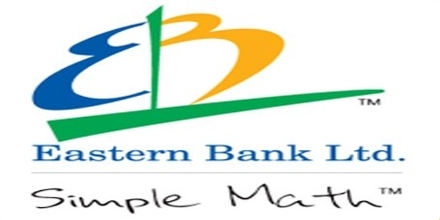 The main objective of this report is to analysis Credit Risk Grading and Limit Setting at Eastern Bank Limited. General objectives of this reports are to familiarize with practical job environment, have an exposure on the financial institutions such as banking environment of Bangladesh and gain experience on different functions of banking business in Bangladesh. Here also examine the Financial practice in Banking Business and examine the Credit Policies and practices at EBL. Finally this report make swot analysis Credit Risk Grading and Limit Setting at Eastern Bank Limited. To cope with the status quo, Eastern Bank Limited welcomed these developments and restructured the bank to meet the challenges in future. The branches of the bank are now termed as the “Sales & Services Center” which are solely concentrated providing service to the corporate and consumer clients and maintain relationship with them. 2006, last year was another year of continued success of EBL across all the business units. The Bank has made an Operating Profit growth of 28.6% to BDT 1,358 million during the year but suffered a decline of Profit after Tax by 6.1% to BDT 513 million mainly due to increased general provisioning requirement by BB and disallowance of specific provision in tax computation. Therefore EPS dropped to BDT 61.98 in 2006 against BDT 66.00.
Credit Risk Grading should be completed by a Bank for its counterparty bank for facilities extended to them. If any credit facilities are extended to a Bank against 100% cash covered or near cash covered securities or covered by Government Guarantee or Guarantee by a top tier International Bank then the Credit Risk Grading should be Superior – 1(SUP-1) and in that case the CRG score sheet is not required. Credit risk grading matrix would be useful in analyzing credit proposal, new or renewal for regular limits or specific transactions, if basic information on a borrowing client to determine the degree of each factor is a) readily available, b) current, c) dependable, and d) parameters/risk factors are assessed judiciously and objectively. The Relationship Manager as per data collection checklist should collect required information. Relationship manager should ensure to correctly fill up the Limit Utilization Form in order to arrive at a realistic earning status for the borrower. Key Risk Parameters are to be evaluated and weighted very carefully, on the basis of most up-to-date and reliable data and complete objectivity must be ensured to assign the correct grading. Credit risk grading exercise should be originated by Relationship Manager and should be an on-going and continuous process. Relationship Manager shall complete the Credit Risk Grading Score Sheet and shall arrive at a risk grading and document it which shall then be concurred by a Credit Officer. The credit officers then would pass the approved Credit Risk Grading Form to Credit Administration Department and Corporate Banking/Line of Business/Recovery Unit for updating their MIS/record. Security documents are prepared in accordance with approval terms and are legally enforceable. Standard loan facility documentation that has been reviewed by legal counsel should be used in all cases. Exceptions should be referred to legal counsel for advice based on authorisation from an appropriate executive in CRM. Disbursements under loan facilities are only be made when all security documentation is in place. CIB report should reflect/include the name of all the lenders with facility, limit & outstanding. All formalities regarding large loans & loans to Directors should be guided by Bangladesh Bank circulars & related section of Banking Companies Act. All Credit Approval terms have been met. Loan disbursements and the preparation and storage of security documents should be centralized in the regional credit centres. Bangladesh Bank circulars/regulations are maintained centrally, and advised to all relevant departments to ensure compliance. All third party service providers (valuers, lawyers, insurers, CPAs etc.) are approved and performance reviewed on an annual basis. Banks are referred to Bangladesh Bank circular outlining approved external audit firms that are acceptable. Facilities are withdrawn or repayment is demanded as appropriate. Any drawings or advances should be restricted, and only approved after careful scrutiny and approval from appropriate executives within CRM. Loan loss provisions are taken based on Force Sale Value (FSV). Loans are only rescheduled in conjunction with the Large Loan Rescheduling guidelines of Bangladesh Bank. Any rescheduling should be based on projected future cash flows, and should be strictly monitored. Fore Sale Value and provisioning levels should be updated as and when new information is obtained, but as a minimum, on a quarterly basis in the CLR. To maintain liquidity i.e. to meet up the obligations of the bank as and when they fall due. To use excess fund to ensure highest possible return. To borrow necessary funds at the lowest possible cost. To maintain the regulatory requirement for liquidity (CRR & SLR). The Credit Risk is controlled primarily by establishing lines for placements with each counter party. It will limit the amount for each counter party. Thereby, the counter party limit ensures control of an unduly high percentage of the total money market portfolio. Liquidity and interest rate risks can be controlled by imposing limits on the net position and periodical MIS such as daily, weekly, monthly, and quarterly and so forth will contribute in these areas. Bangladesh Bank’s regulatory requirement of CRR & SLR also covers part of the liquidity risk. The Risk Managements should be encouraged to build up their knowledge base about various industries, the opportunities and risks in the sectors, the well performers and the upcoming companies, industry standards etc. For example, RMs can be given incentives to attend various seminars, workshops, or training programs in these areas. CRGM must be strict to see that all the procedures of Loan Evaluation and Monitoring are followed before giving any new loans. It was observed that not all the steps of the present guideline are followed strictly by the RMs. For example, the RMs did not go on regular quarterly calls to the clients and also sometimes did not verify all the information provided by the clients. This gives rise to chances that the client’s actual position may not be understood on time and increases the risk of classification. So steps must be taken to ensure strict adherence to the loan evaluation and monitoring policy. The RMs should keep their eyes open about the position of the industries of their respective clients. As soon as any new risk occurs in the industry or the industry shows signs of deterioration, they should analyze its impact on their respective clients and act accordingly. As soon as the client fails to make timely repayment, pressure should be created on him to make the payment urgently and no further credit should be allowed to him unless he pays back the previous dues (except for cases where new loans are needed to ensure past loan’s recovery). Also no unnecessary restructuring of repayment schedule should be allowed. Credit Rating must be given proper emphasis. Whenever a credit rating is lowered, the RMs must look into the account to see whether there is any chance of the client being classified eventually. The RM should also prepare an alternative exit plan from the account, just in case it is needed. Special Asset Management Department should immediately launch legal procedures against those accounts where negotiation has failed and there is no chance of repayment. They should try to recover as much of the loan as possible by disposing of the securities held against these loans.